After he took over as General Secretary of the Chinese Communist Party (CCP) and as Chairman of the Central Military Commission in November 2012, Xi Jinping articulated for the first time ‘the China dream’ at ‘the road to revival’ exhibition at the National Museum in Beijing. As he did so he stressed that since the start of the reform period China had finally found the way to restore the greatness of the country and it was called ‘socialism with Chinese characteristics’.1 What Xi has revealed is not a new political system or even a new term to describe it. It is a confidence in the existing political system which, despite all its faults, he now believes is sufficiently strong, effective and robust to deliver the national revival encapsulated in his ‘China dream’. 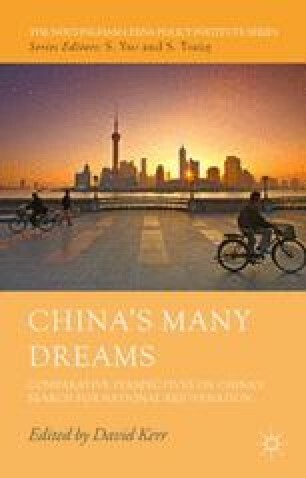 The nature of the system that Xi loosely refers to, in line with the long-standing usage after the end of the Mao Zedong era, as ‘socialism with Chinese characteristics’ gets clearer if it is set within the analytical framework of consultative Leninism.